This is from a magazine article titled “Wayne Gapp Builds a Hi-Port-2-Plug-429”. I’ll post the article sometime soon. 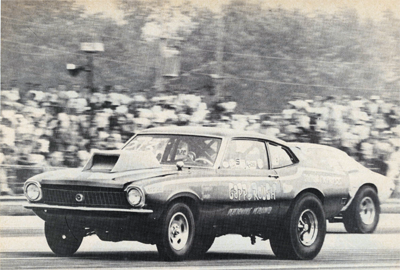 Great photo of the Maverick…what a car that must have been! Jeff, your Dad had quite the combination of skills…engineer thought processes and hands on ability. That is a great combination!